Being an architect comes with a great set of responsibilities. They are the creators of awesome buildings and structures. It is difficult to envision a skyscraper without their vision, planning and help. 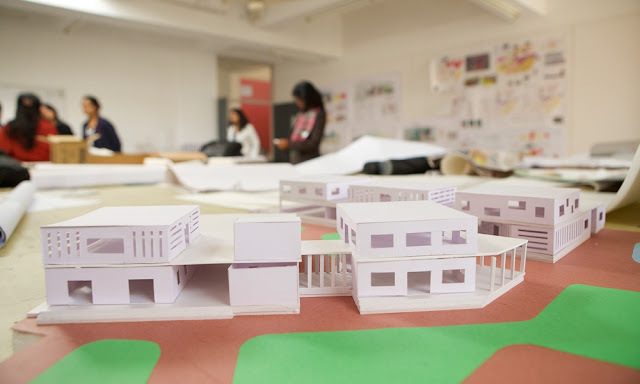 The study of architecture is a taxing professional course but reaps great awards in the long run, such as high pay, great potential of growth, etc. Admission to top b.arch colleges in India takes place by competing national level entrance exams. The job of an architect is not limited to designing corporate offices; rather they design houses, apartments and colonies, industrial complexes, hospitals, hotels, airport terminals, stadium, shopping and commercial complexes, schools etc. Career prospects include working full time with construction companies as designers. One can further opt for independent practice to earn from consultancy fees which depends on work portfolio and experience. Architecture jobs are present in government organizations such as Public Works Department, Ministry of Defense, National Building Organization, as well as private sector and independent architecture firms. Another career path which may be opted for is some form of higher studies in either full time or part time courses. Further qualifications in architecture or other technical subjects like planning, design, engineering or computer science may be opted for. To make the best out of your course, it is important that you opt for top notch colleges. The Sushant School of Art & Architecture (SSAA) in Ansal University is one of the best college for architecture in India. As is true for many other professional courses, practical exposure and experience plays a vital role in deriving the best outcome in terms of career. At SSAA, students are encouraged to opt for various internships and certificate programs and are given a support system to gain the best out of their experience. Situated in NCR, it has a location advantage and is one of the top architecture colleges in Delhi. International associations with universities and institutions such as Massachusetts Institute of Technology, AA School London, Deakin University ensure global exposure and in depth training to create ready professionals. Trained and reputed faculty members, cutting edge curriculum, research workshops and practical training place SSAA in the list of top 10 b.arch colleges in India.